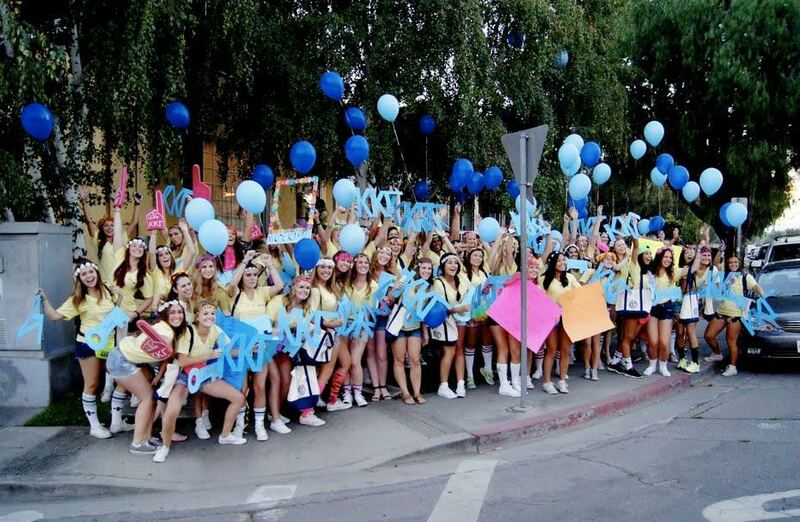 Bid Day only comes once or twice a year and making it one to remember can be a daunting task! If you are in need of some Bid Day inspiration, look no further! 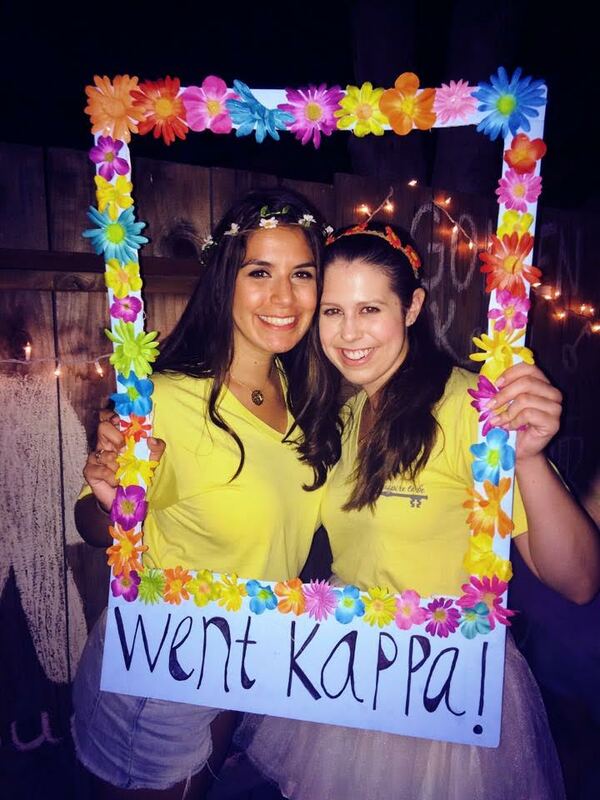 Demi, Kappa Kappa Gamma – Santa Clara University, and Brittany, Delta Gamma – Louisiana State University, let us know their chapter’s secrets for making their bid days unforgettable! 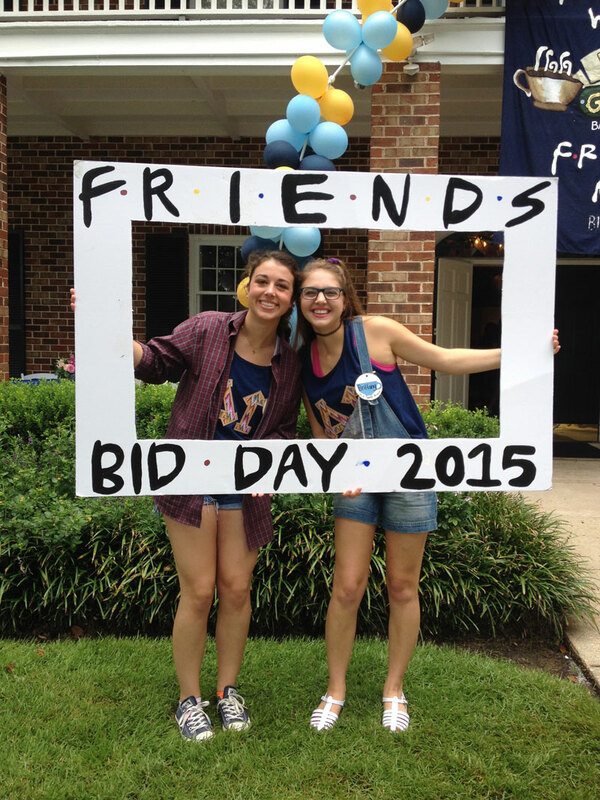 Check out these tips to help make this year’s event the best Bid Day yet! 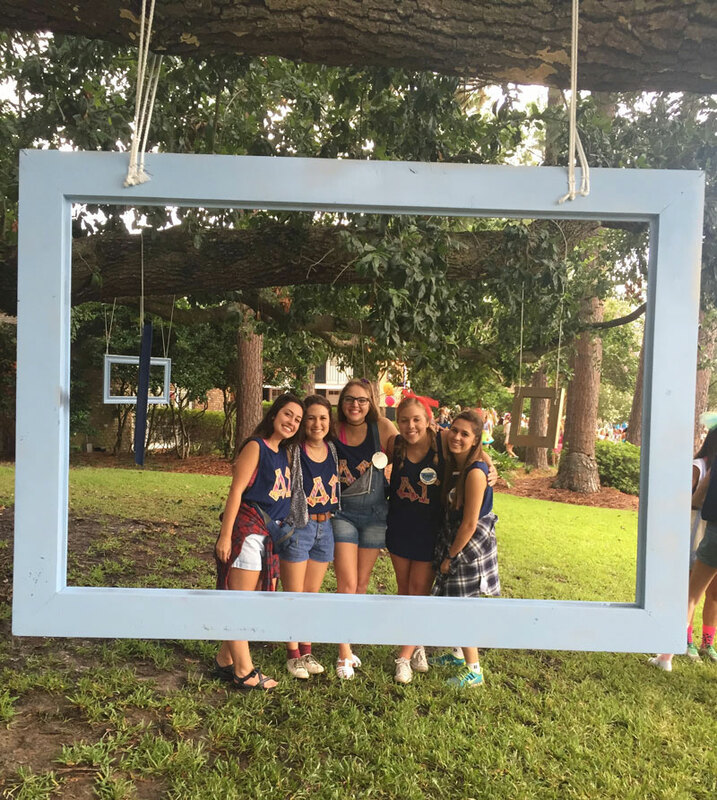 Capturing all the fun and festivities is the best way to have an unforgettable bid day. “Photo booths are a must for us at Eta Nu. We love our photos and get creative with props!” says Demi. After the day ends, the perfect way to reflect back on the moment is through pictures! Hiring a bid day photographer is a great way to get the entire chapter together and capture the moment. Check out our Bid Day photography and Sorority Composite services to find out more about what GreekYearbook offers! Running toward a house blasting fun music is every new members dream! Get a group of speakers together to blast the latest Bieber jam or throw it back to a 90’s favorite. There is no better way to welcome your new members than with a dance party. “…Eta Nu’s Bid Day is incomplete without our famous dance party in the backyard” says Demi. Dressing up your house or venue with fun decorations adds to the thrill and excitement of bid day. Photo decorations adorning the lawn or themed props are perfect options for those looking for simple decor! 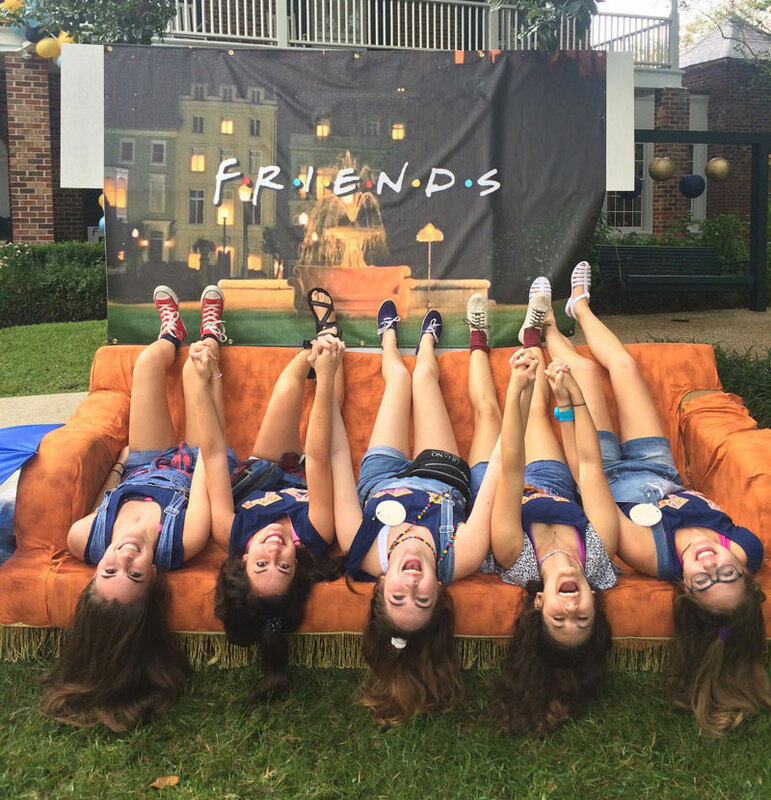 Incorporating your bid day theme throughout the day will leave a lasting impression on both active and new members! Welcoming your new members into your sorority is a one time deal! Make it extra special by chanting your sorority chant as they run towards your house. Not only will it help them find the right house, but it will make them even more excited for the day’s festivities. Keep the party alive with a wide range of bid day activities! 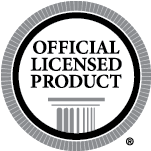 Play games, host a dance party or serve up an awesome dinner. Bid day is over before you know it and having a full day worth of activities will help bring together your sisters. Trust us, there is nothing better than spending the day hanging out with your best friends!